A mecca for the do-it-yourselfer, Home Depot is the world’s largest home-improvement retailer. The Fool has written over 1500 articles on Home Depot. One of these home improvement retailers is clearly operating better than the other. Online sales continue to grow faster than traditional retail. Here's how investors can profit. These two stocks made their early investors rich through smart business strategies. These three companies are poised to deliver dividend growth for a long time. One big dividend hike and two down-but-not-out dividend payers are on the block this round. Some details behind the retailer's big step toward $120 billion of annual sales. See who comes out on top in this look at two of the country's most formidable retailers. 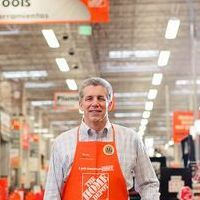 The home improvement giant continues to invest heavily in its stores and online experiences, championing a true omnichannel retail approach. Is Home Depot a Buy? The stock has proven to be very resilient in the face of the changing retail marketplace. Investors turned more cautious ahead of the retailer's upcoming earnings report. It was a good year for the home improvement leader's business. Talk of a possible takeover bid from Home Depot sent shares of the heavy-goods delivery specialist soaring. How much does it matter that investors in the leading home-improvement retailer are getting another double-digit dividend increase this year? HD earnings call for the period ending December 31, 2018. HD earnings call for the period ending October 31, 2018. HD earnings call for the period ending July 31, 2018. HD earnings call for the period ending April 30, 2018. HD earnings call for the period ending January 31, 2018. Industry, sector and description for Home Depot.